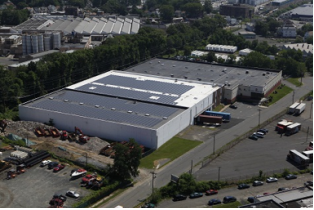 In 2011 our Bloomfield, NJ facility was equipped with 1,472 solar panels installed by GeoGenix so we could operate on 100% solar power. The investment has since helped our company contribute towards a cleaner environment and has drastically reduced our internal operating costs. 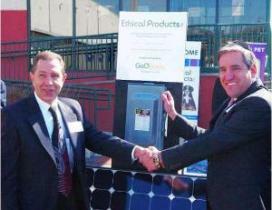 We are proud to say that the solar panel system reduces CO2 emissions by 861,000 pounds a year: the equivalent of eliminating the CO2 emissions from driving 978,000 miles. Our company goals in sustainability also extend to our Spot product line where we utilize recycled and/or natural materials whenever we can. 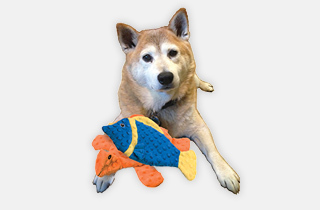 Many of our cat and dog toys feature recycled materials and we hope to develop new eco-friendly materials into products in upcoming development cycles.